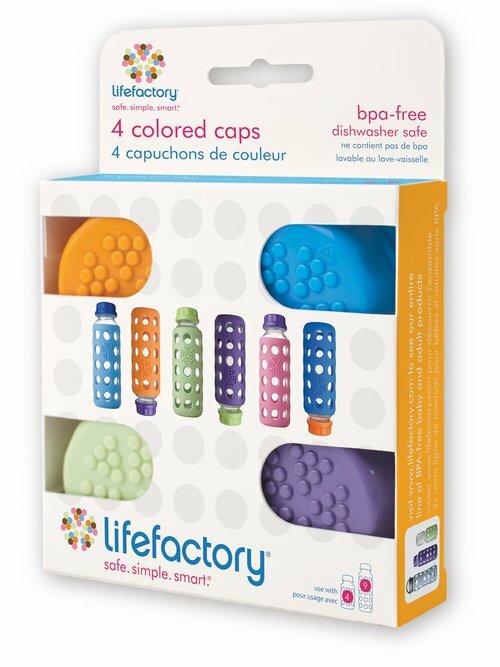 Lifefactory bottles gives your baby the best bottle they can have free of toxins and ready to nourish your baby. 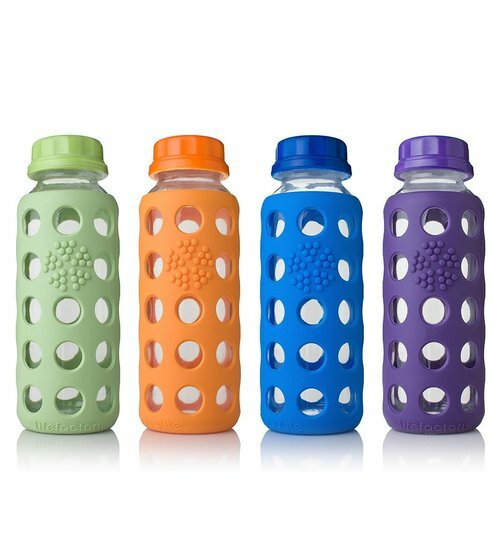 Bright colored caps make it fun and easy to personalize your 9 oz glass beverage bottles. Perfect for beverages, snacks, or other precious items you want to keep clean. You can convert your 4 oz baby bottle into a snack container and your 9 oz baby bottle into a juice container as your child grows. Made in the U.S.
Set contains one cap each of: Raspberry, Grass Green, Orange and Ocean.